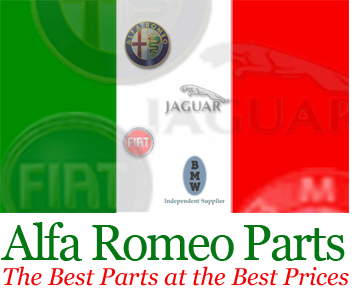 Turn to us when you need a new part like clutches or new brakes for your AlfaRomeo™ BMW™, Fiat, Landrover and Jaguar. We have a vast selection of OEM brand parts for your European automobile. We have a massive selection of parts in our inventory, from both domestic and imported manufacturers and companies. The brands carried include companies like Eberspächer™, and Bosch™. Don’t spend time hunting around franchise auto parts dealers, when you need new parts for your European auto. Rather, come to Alfa Romeo Parts in Berkeley, California, for your OEM needs. We offer parts for over five different types of unique vehicles, and you’ll be pleased by our vast knowledge of these cars. Our business has more than 40 years of experience with European parts and cars, specifically the BMW™ brand and other (older and current models). Most of the parts we offer have two-year warranties and some of our manufacturers with lifetime coverage. We hope you’ll be impressed with the selection we have to offer. Contact us at 510-982-5602 in Berkeley, CA, to browse our selection of BMW, OEM, german parts, Italian Parts, British Parts at our automotive parts store.